Bringing life into balance is an ever-changing thing because life is ever-changing. It's very unlikely that anyone actually lives in perfect balance, but it is possible to seek balance in all areas of our lives. 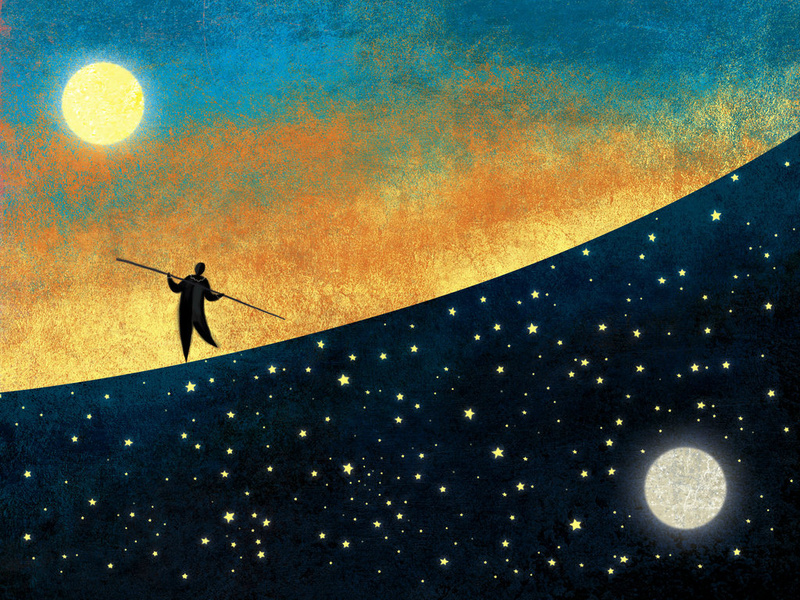 Like the tightrope walker, those who pursue balance must negotiate it step by step, with thoughtfulness and the ability to breathe through the stressful moments. Oftentimes, just when one area of life comes beautifully into balance, another shifts out. Being flexible enough to "roll with the punches" allows for growth in strength and less rigidity. If one area of your life becomes unmanageable at any time, you're clearly out of balance. It's good practice then to use your heart instead of your head as a way to regain your that balance for decision-making and increase your internal flexibility. You might be surprised to find that your personal balance may look and feel differently than you once thought. Take stock of the areas of your life that seem out of balance. The areas may include health, exercise, diet, or problems in your primary relationships. Choose one area to address, then move on to the next. Seek help if you think you have areas that are consistently unmanageable.